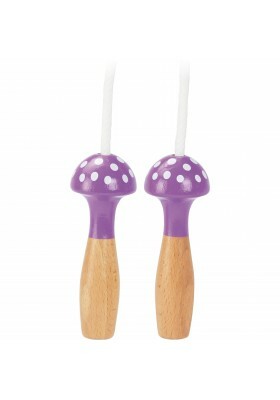 Skipping Rope with mauve lacquered solid wooden handles. 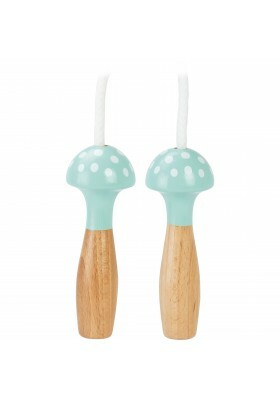 Polka dot wooden handles adapted to the smallest of hands. Made in France. 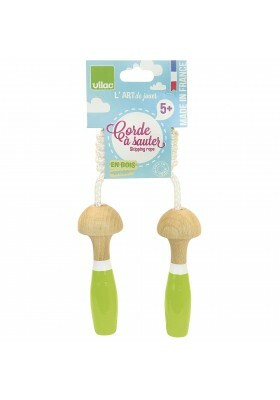 Skipping Rope with green lacquered solid wooden handles. 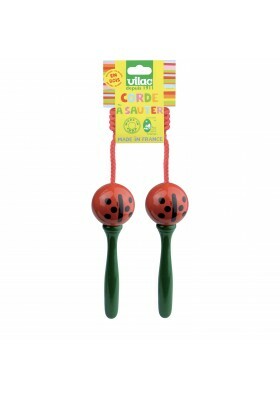 Polka dot wooden handles adapted to the smallest of hands. Made in France. 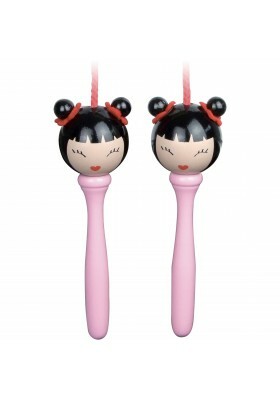 Skipping Rope with pink lacquered solid wooden handles. 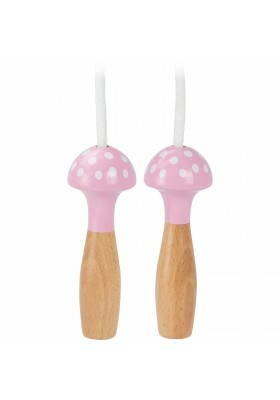 Polka dot wooden handles adapted to the smallest of hands. Made in France. 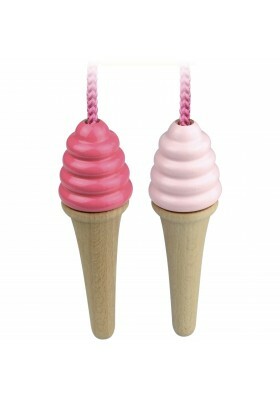 Skipping Rope with Ice-Cream shaped handles in lacquered wood. Made in France. 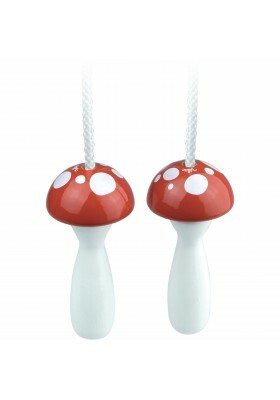 Mushroom-shaped Skipping Rope with lacquered wooden handles. Made in France. 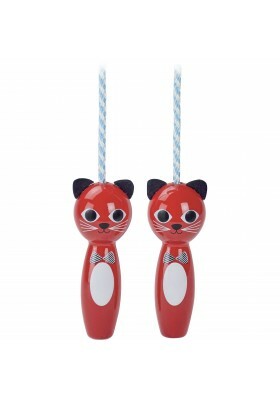 Cat skipping rope by Ingela P.A. 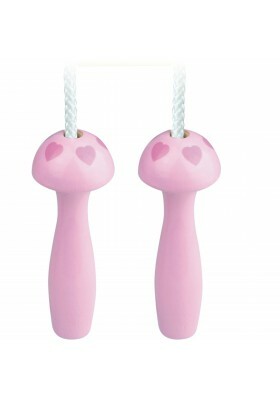 Revamped skipping rope with cat-head handles by illustrator Ingela P. Arrhenius. Made in France. Bear skipping rope by Ingela P.A. 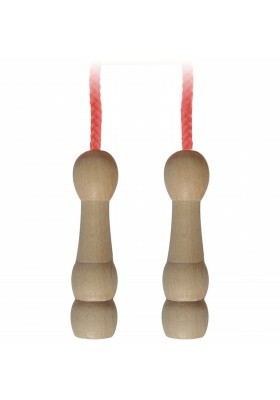 Revamped skipping rope with bear-head handles by the illustrator Ingela P. Arrhenius. Made in France.